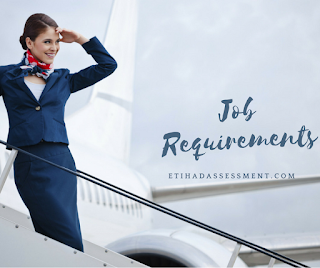 In order to become a cabin crew, you must meet the criteria that most airlines look for. An excellent communication and interpersonal skills, as well as the desire to work in a multinational environment. Having customer service and hospitality experience is another advantage when it comes to hiring a cabin crew. However, it's not mandatory to have as other factors play different roles when it comes to the final decision. Lots of young adults seek this career because of the travel advantages and the experiences learned through exploring the world. The following conditions may defer based on each airline but mainly share the same or similar criteria. Age: at least 18 years of age, but the minimum age can be higher depending on the airline – but never higher than 21 years. Height shouldn't be any less than 157 cm and the weight should be proportional to your height so that the air hostess has the agility needed for movement and to help the passengers throughout the flight. ARM REACH: minimum of 212 cm when standing on tip toes (Qatar Airways & Emirates) - 210 cm (Etihad). Most aviation recruiters seek a candidate that hold a senior or intermediate education certificate, high school at least. In addition, mastery of the English language; because it is the first language that is spoken internationally, speaking other languages is also a big advantage. Courtesy and good dealing with others are one of the most important conditions and among the most asked questions during the job interview. That's where your customer service experience becomes handy when asked similar scenario questions. Nevertheless, don't let this discourage you because I personally witnessed many candidates without similar experience pass their cabin crew interview and the recruiters were impressed with their language skills and attitude. Ability to swim is a great skill and most airlines ask you whether you can swim alone or with the aid of a floating object. They also conduct a swim test during the recruitment process that covers emergency protocol and safety. All airlines conduct a health test and usually right after passing the job interview. The test ensures you're in good health and all your physical senses function properly to maintain the job. They also don't prefer candidates that have excessive tendencies for alcohol and tobacco, which signals to the recruiters that you'll be unable to work efficiently. No visible tattoos when wearing the uniform. Although the airline does not require a particular specification in the formal beauty, but the examiners made sure that the host is able to be hospitable with passengers, they also must be a high degree of physical shape and self-confidence to respond appropriately in different situations. Basic knowledge of first aid is a huge advantage that can qualify you to stand out from the crowd and they're tons of online courses that offer first aid certificate when you finish the course successfully. Also, experience in the hotel and tourism industry is definitely another advantage. For social situations, most airlines prefer single air host to ensure the ability to work during emergency times. Sometimes candidates are given an IQ test to examine their intelligence capabilities. Each airline holds a different process and we find some airlines determine the proportion of eighty percent mark is a successful score. Having a positive attitude, outgoing personality, and excellent communication skills will make you stand out during the recruitment process. The above requirements are subject to change without any prior notice, so it's best to check the official website of each airline that you apply to. I hope this layout gave you a better understanding of job requirements and what to expect if you decide to follow this career. A blogger, writer, runner and a family guy. I worked in customer service for over 3 years and happy to share knowledge regarding cabin crew, aviation careers, tips and more to help you succeed.